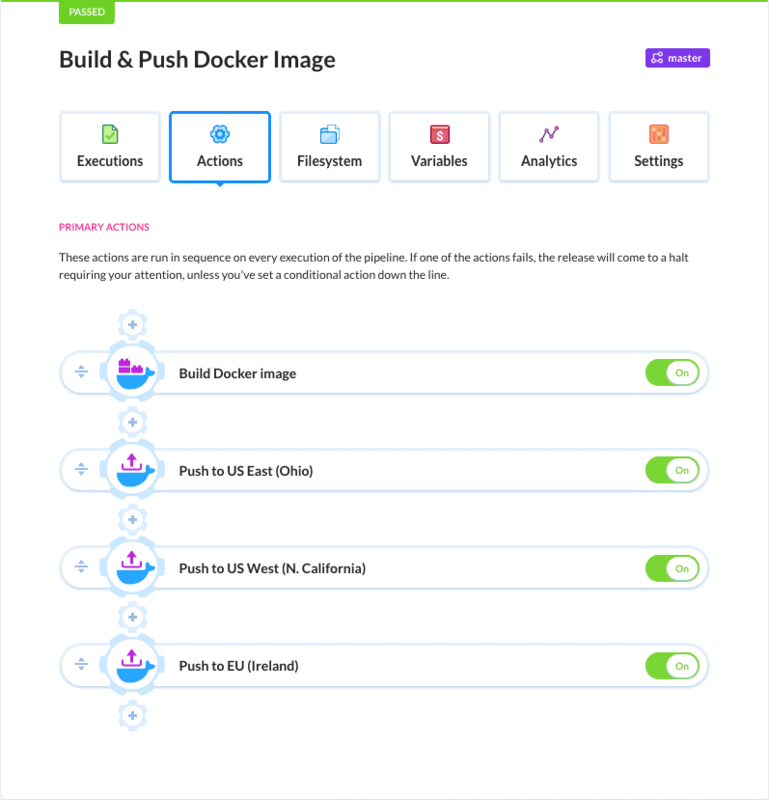 Two weeks ago we added the Run Docker Image action. Today, we ship yet another one: Push Docker Image to Registry. 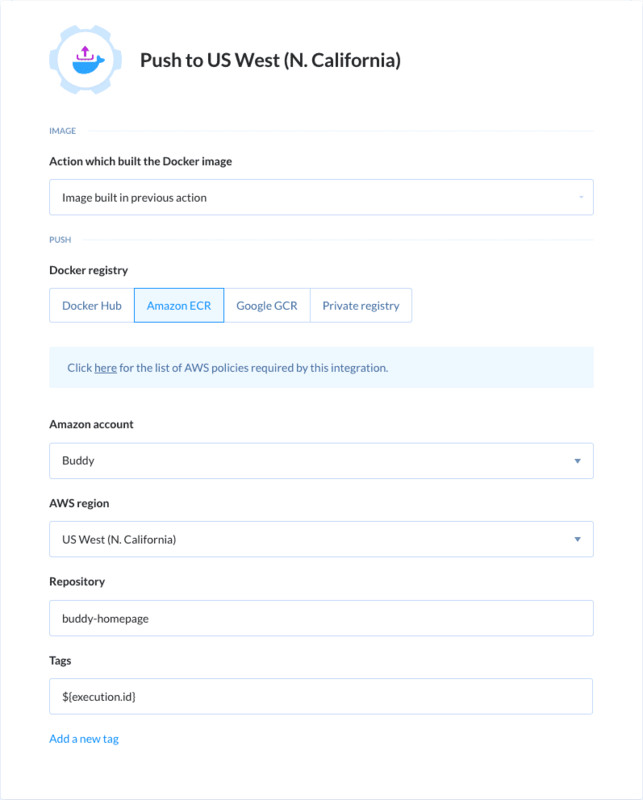 INFO: We support any Docker registry, including private ones, with dedicated support for Docker Hub, AWS ECR and Google GCR.